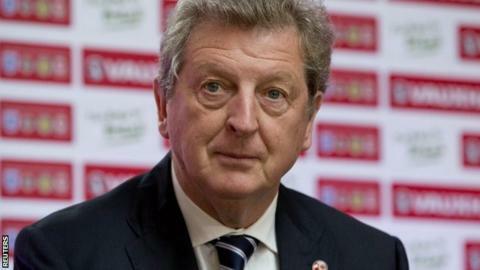 England manager Roy Hodgson has been knighted by Finland for his services to the national football team. Hodgson, 65, was in charge of Finland from January 2006 to November 2007 and almost qualified for Euro 2008. President of the Republic of Finland, HE Sauli Niinistö said: "Roy's time as the manager of Finland lifted the level of Finnish football culture. "Roy brought with him a higher degree of professionalism and more disciplined style of playing." Under Hodgson, Finland reached their highest ever Fifa ranking and were just one goal away from qualifying for Euro 2008. Victory over Portugal in their last qualifier, rather than a 0-0 draw, would have seen them reach a major tournament for the very first time. Hodgson said: "I enjoyed my life in Finland very much. Not only in football, but outside of it as well. "I hope that my relationship with Finland, which is already great, becomes even greater."